A beautiful way to decorate the table during the holidays. A balanced mix of horizontals and verticals. Carrying on a 125 year family tradition of quilting, Lisa learned the art of quilting from her mom and sister, she is an expert in machine piecing, machine appliqué, and paper piecing. 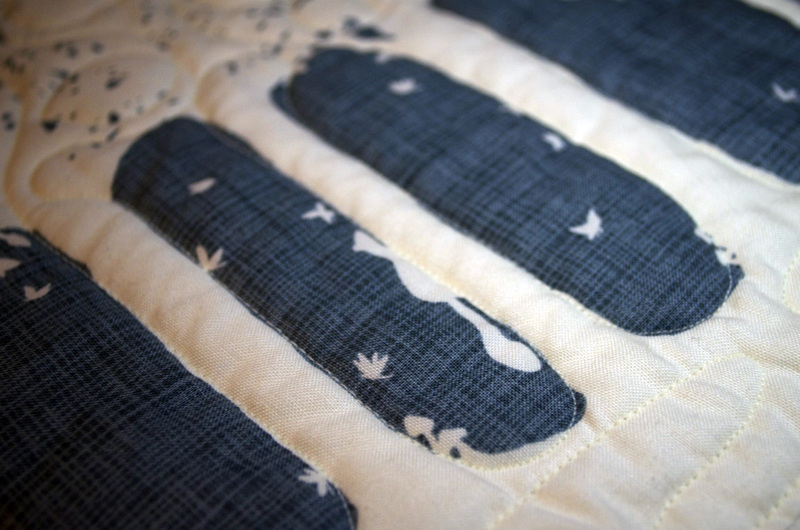 Lisa is an award winning quilter and has made hundreds of quilts over the last 25 years. Lisa loves bringing EVERYONE into her quilting world. When her son’s Boy Scout troop needed a service project she taught them all to quilt! The troop made 10 quilts for the wounded warriors returning home. Lisa is always looking for the next volunteer project and has mentored several high school students creating quilts for their Senior Project. She has made numerous quilts to help raise money for cancer and leukemia research. Much of Sonoma County is blanketed under Lisa’s quilts. In her past life Lisa taught computers and networking. When she began working at the quilt shop in 2010, she thought teaching people to quilt was a natural progression in her career! Besides, doesn’t EVERYONE go from teaching computers to teaching quilting? It is much more fun teaching quilting than teaching computers. However, she feels like computers are a little less dangerous, she never got poked with a pin while teaching programs! Lisa is an extraordinary quilt teacher having taught several hundred quilting classes and well over 2500 students. She is an exciting & humorous lecturer and a talented pattern designer & developer. 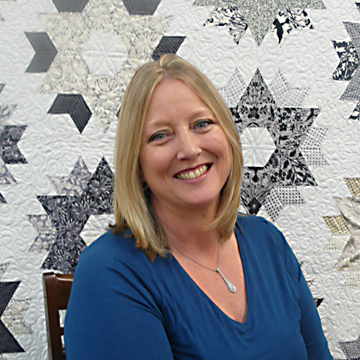 You will find Lisa working part time at a quilt shop in Sonoma, California where she teaches, is a buyer of fabric, notions and quilting supplies. She regularly attends Quilt Market to find the latest and greatest quilting notions and tools. Lisa is married and lives in Petaluma. She has 3 amazing children (don’t we all say that!?!) 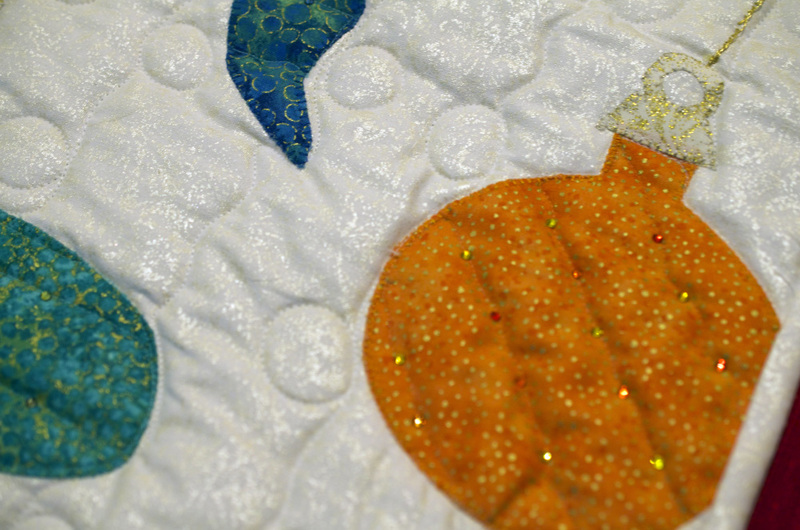 But really, they are wonderful and… THEY ALL QUILT! Lisa’s mission is to teach as many people as possible to quilt in her lifetime! Cosmopolitan Quilt Company. All rights reserved.